Los Angeles, CA, November 28, 2018 (Newswire.com) – Just Right Painting, is a company that provides exteriors and interior painting in Los Angeles and the surrounding area, advises property owners that exterior and interior painting is available all year long in California. As the weather is warmer and more moderate than in other parts of the country, winter paint jobs are recommended. In areas of the country impacted by snow or freezing temperatures, interior and exterior painting are typically not recommended. It is considered impractical to paint in such conditions. An area like Southern California is not impacted by that kind of weather. Interior painting in Pasadena is possible, as is exterior painting in West Hollywood and vice versa. Many people move into southern California every year. Often, they bring with them the idea that having an interior painting in Los Angeles done during the winter months is impractical. However, Just Right Painting recommends the opposite. They have experience with providing interior and exterior painting during the autumn and the fall. “There are so many great reasons to live in Southern California. For us, we’re able to provide folks with great paint jobs all year long. If you want your home or office building to look great, you don’t have to wait until spring. 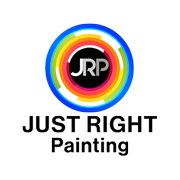 We can work around you during the holiday season and really all the winter months,” said Jonahtan Rodriguez, Founder of Just Right Painting. Just Right Painting provides exterior painting in Los Angeles as well as interior painting. They paint residential areas in addition to commercial buildings and HOA residential structures. Source: Just Right Painting Inc.